Before the actors in Candide set foot on stage, a crew of nine people work to materialize the world the opera takes place in by dressing the stage with sets and props. 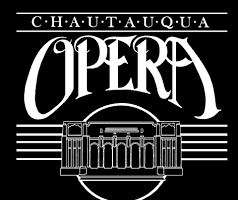 Chautauqua Opera Company’s production team works on lighting, construction, prop building, video and sound, and everything is built in-house “from the ground up,” said J.P. Woodey, technical director. 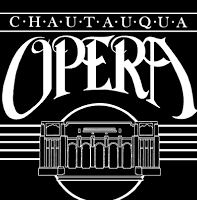 Chautauqua Opera will present its final performance of Candide at 7:30 p.m. Monday, July 30, in Norton Hall. 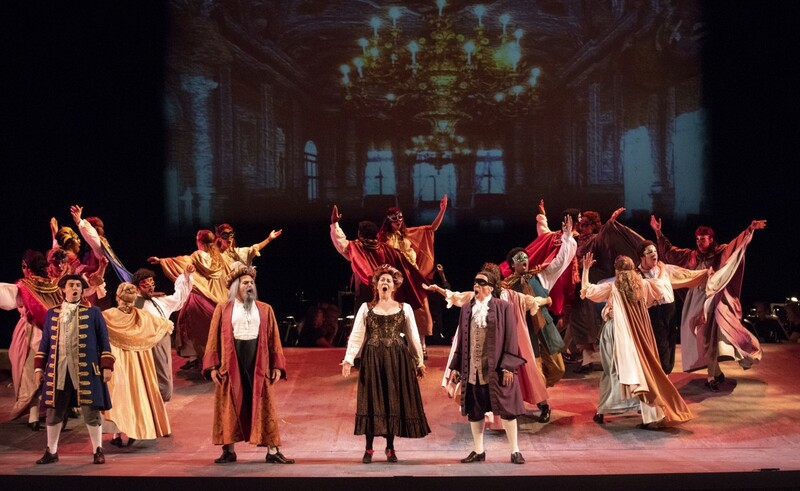 From the German chocolate cake the Baroness eats on stage to the placing of Cunegonde’s couch for the number “Glitter and be Gay,” every set piece in on the Candide stage to further the story. 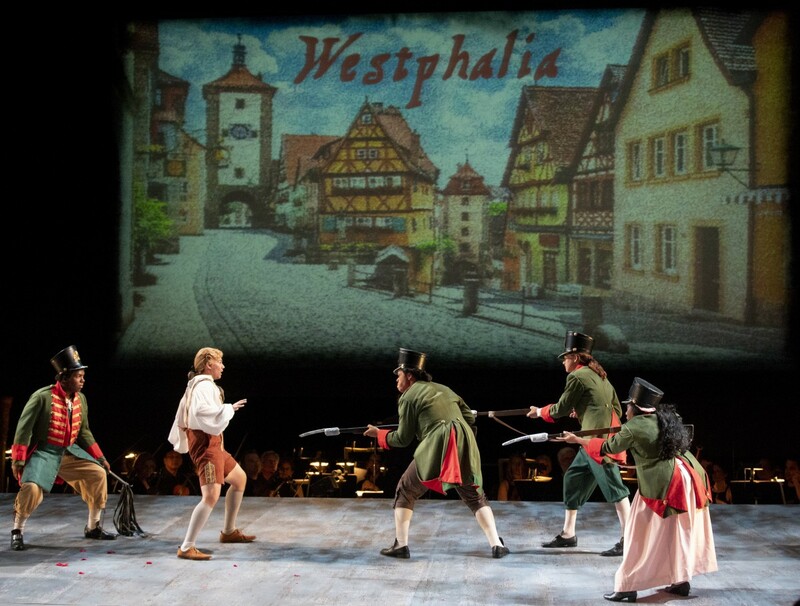 In the opera from Leonard Bernstein, Candide, his love, Cunegonde, and the supporting characters travel around the world. The story starts in Westphalia, Germany, and Candide eventually travels to France, Portugal, Spain, Montevideo, Eldorado and Venice. 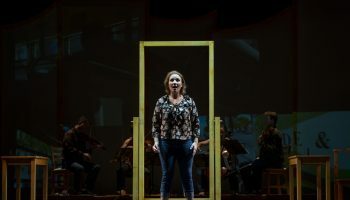 To orient the audience to the ever-changing landscapes in Candide, projections with the locations are casted on a screen that spans the entire length of the stage. 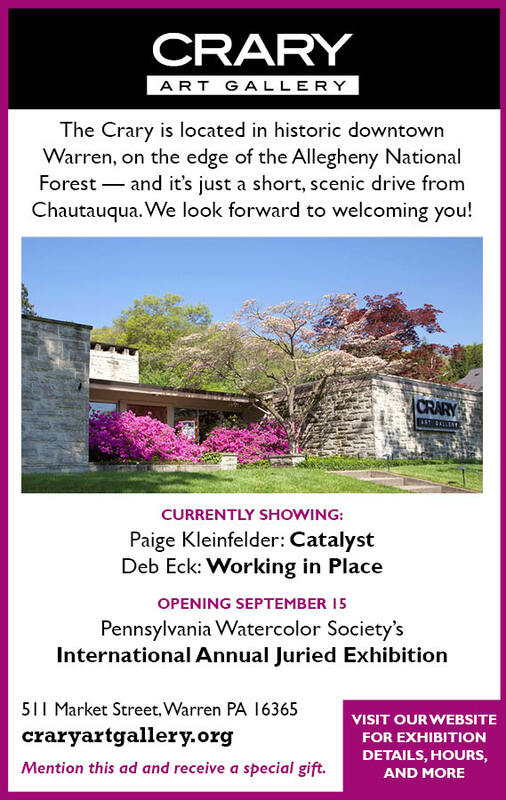 The vignette on the screen was hand-painted on the Norton stage, Woodey said. 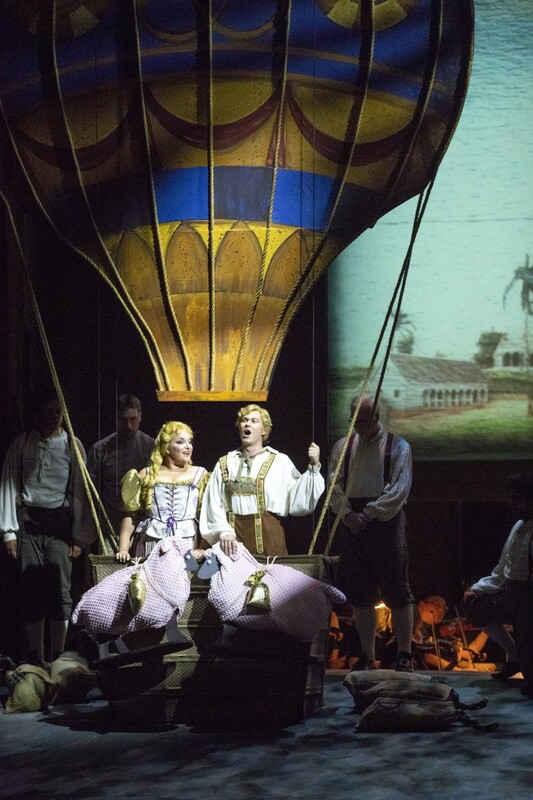 Woodey’s favorite piece is a hot air balloon that makes an appearance in Act Two, Scene Four. A significant amount of planning went in to make sure the rig was safe. The stage in Norton Hall runs on a manual counterweight fly system, which means an equal amount of weight has to be applied on the ground level for everything lowered onto the stage from the rafters. When the two actors are in the balloon, which has a wooden top and a steel basket, the total weight is equal to about 800 pounds. Sandbags are attached to the balloon to make it heavier, and it takes two people to operate. To ensure the actors’ safety, the production crew also uses a redundancy strategy. Though two cables could support the weight of the balloon when it rises, there are two more in place in case something fails. Among the biggest projects the production team took on for Candide was the building of the stage. Before the 2018 season began, the orchestra pit was covered. The orchestra now sits at the back of the stage, and the action in the opera is pushed closer to the audience, Woodey said. The crew also built a raked stage, which took about a week to build. A raked stage is one that sits at an incline. This style of stage was popular during the 19th century and is also where the terms upstage and downstage are derived from. A raked stage creates an illusion of depth and a sense of perspective when multiple people are in the audience’s view, Woodey said. Candide features some small props that add to the comedic element of the opera, Woodey said. 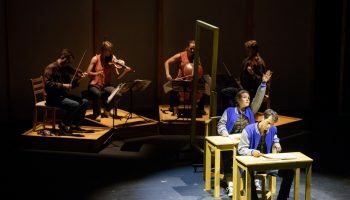 Instead of making a boat for Candide and Paquette to sit in, a small boat carved from wood and painted is passed from character to character to signify the journey. During “Glitter and be Gay,” Cunegonde puts on an abundance of jewels, which shows her socioeconomic status. The props and set scenery for different characters can give the audience a glimpse into their social class. “You wouldn’t have a peasant walking around with a Louis Vuitton bag unless it was necessary to the story,” Woodey said. All in all, the fundamentals of creating the space are all about taking every seat in the house into consideration. “The person in the back row has to see just as well as the person in the front row,” Woodey said. Georgia Davis is a rising senior at Ohio University, where she studies journalism. Georgia covers the Chautauqua Opera Company and Children’s School for the Daily. 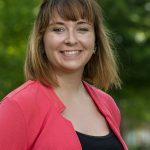 Georgia is a cinephile, and her favorite movies of 2017 were The Big Sick and Three Billboards Outside Ebbing, Missouri.